In today’s fast paced and hectic schedules there are many depression and mood disorders that happen. Whenever you go to your doctor you are prescribed with anti-depressants and other medicines. But did you know that these depression and mood disorders can be avoided of we take care of our daily nutritional needs and avoid those nutritional deficiencies. Here is some information about those nutritional deficiencies and how can these be avoided. 1. 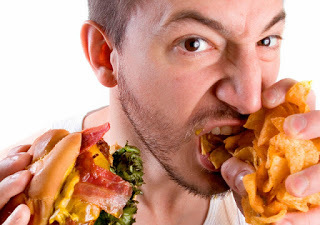 Avoid that Junk Food Diet : Though you completely feel satisfied after eating that portion of junk food but in actual the nutritional value of such stuff is almost negligible and do not cause any good to your body. Hence it is always advised that you should healthy and balanced diet. 2. Omega-3 Fatty Acids deficiency : A deficiency of Omega-3 Fatty Acids in your diet can cause severe mood disorders and hence it is always advised that you should eat food that is rich in Omega-3 Fatty Acids. Some common example of such foods are fish and cod liver oil. 3. Deficiency of Vitamin-D : It is always good to soak up under sun everyday for at least 15 to 20 mins to get your daily dose of vitamin-D. You can also eat milk products and eggs. 4. Iodine deficiency : It is always good to eat salt which is rich in iodine. 5. Chromium, Zinc, Folate and Iron Deficiencies : Patients who are diagnosed with depression problem or severe mood disorders are found to have fewer doses of such important vitamins and minerals. Eat diet that contains all of these minerals such as green leafy vegetables, nuts, walnuts and eggs. Hence you can see that nutrition plays an important part in keeping our body and mind healthy. Moreover it also helps us to stay away from depression and mood swings.